Indeed that represents a better future…the chance to extend existence beyond the realms of this physical world. The man recognized it as so. He thought it had true value…something worth sacrificing for to lay hold of. Sell My Stuff For Treasure in Heaven? The issue here really isn’t about money per se. It’s about loving something more and being committed to it more to the point we can’t give it up for something Jesus considered more valuable…following him. Attachment to that thing holds us back. Now for THIS man it certainly was his money. The Bible says he had “great possession.” No doubt those were accumulated over a long period of time and represented great sacrifice, work, focus, and determination on his part. He was obviously bonded to his belongings. Jesus knew this man’s issue: his love of money was holding him back from a more worthy and fulfilling future. By all indications, it was so powerful a factor in his life it kept him from securing treasure in heaven. What’s blocking you from moving forward? What would Jesus tell you to lie down to follow after Him? Questions: What is or has held you back and kept you from moving forward? 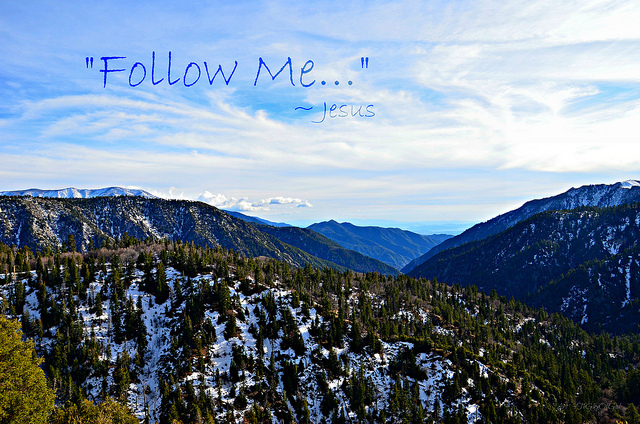 Is there something keeping you from following after Jesus? Will you have treasure in heaven one day? Good questions! I think God wants to say to me: less activity and more prayer and being with God. “…less activity and more prayer…” I think we could all use that Mike. Thanks for sharing! It’s really hard to let go of things, really. One reason I know is that it has a sentimental value. I myself am like those people. But, we have to learn if this is what God wants us to think, to feel, and to do. Funny how that works, isn’t it? If you ask the Lord to search your heart He has a knack for putting his finger right on “the one thing”. My issue is letting go of control, whether it’s money or my schedule or even my children. While your application of this passage works, if you look at the following section for context, it’s about how no one can enter the Kingdom of God through their own effort. Only God makes it possible. People at the time thought the rich were more likely to get into heaven but Jesus turns this assumption upside down. That said, I think we should be challenged by Jesus’s call to give it all away rather than writing it off. He obviously doesn’t tell everyone this, but if we can’t handle wealth without idolizing it, we’re in trouble spiritually.